I didn't have the exact blue in the photo, but they always say to use what you have and get as close as you can. So that's what I did!! I can't wait to see what everyone makes for this challenge. You have plenty of time to create and share your project. You can click right here for the link to join the party. Such a sweet summertime card! I had to look twice as it almost gives the illusion of being a shaker card. 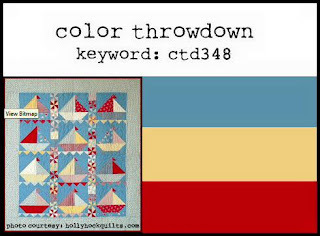 Thanks for playing along with us again at Color Throwdown! 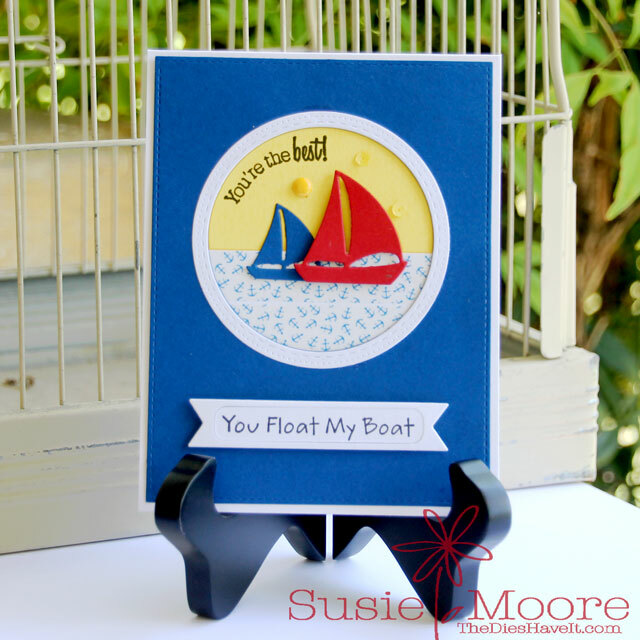 Your little sailboats are adorable, Susie, and I love how you created the *water*!!!! Such a darling card!!! Thanks for playing along with us at the Color Throwdown Challenge!!! What a great card and I love the sentiments!